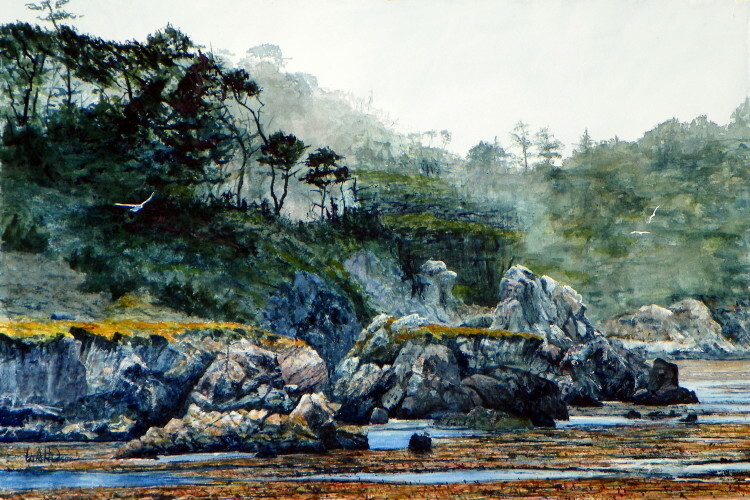 This is my second painting of Whalers Cove and it is larger than my first. I’ve given more attention to the cypress trees which have been twisted and bent by the wind. I also put more emphasis on the seaweed with colors that complement a landscape that was home to the Rumsien Indians for 2,500 years.